Dr. Kari always knew that she was meant for a career in the healthcare industry, but was initially stuck on exactly what path it would be. While in college, she had the opportunity to shadow a chiropractor. There, she was able to interact and speak with patients about their own experience with chiropractic care. The responses were overwhelming—Dr. Kari learned that chiropractic had the ability to heal, help people, and most importantly, change lives. From that moment forward, Dr. Kari felt that becoming a chiropractor was her calling. The reason I do what I do is to see patient’s transform their lives. 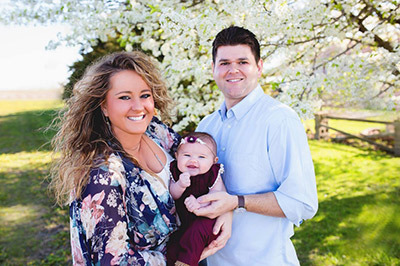 Upon graduating from Southern Illinois University, Dr. Kari attended Logan University in Chesterfield, Missouri, a top chiropractic college. Here, Dr. Kari’s abilities as a doctor began to shine. She learned several different adjustment techniques that allow her to help patients from newborn to 100+. 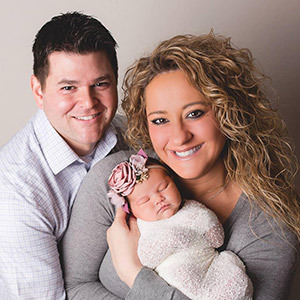 An avid learner, Dr. Kari enjoyed attending numerous seminars during her time at Logan, including one on pediatric chiropractic techniques which allowed her to become certified in the Webster technique, a safe, gentle and effective adjustment method for pregnant women. 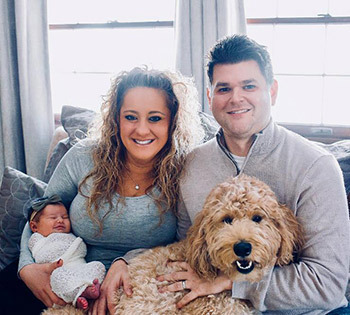 When Dr. Kari isn’t helping patients improve the longevity of their health, she can be found spending time with her husband, Nick, their daughter, Adelynn, and their golden doodle, Cooper. Dr. Kari thoroughly enjoys being a part of the Edwardsville and Litchfield communities. She’s also a proud supporter of the Metro East Humane Society and the Riverbend Down Syndrome Association. Ready to give chiropractic care a try? Take advantage of our $20 new patient special, including a full consultation, exam, and report of findings. Schedule your appointment today.